Traveling With Pets - Thank You Babyboomers! With the launch of Vacation Pet Friendly, the website designed for the purpose of traveling with pets made easy. There was a time when traveling with pets was limited to those with RVs and tents. Taking a pet to a hotel was virtually unheard of. But thanks to the babybooomers, that’s all changed! As quickly as the children of babyboomers pranced off to live a life of their own, the babyboomers filled their empty nests with pets. In fact, surveys reveal that 65% of American households own a pet and 78% of them are taking to the friendly skys. The new pet family coupled with dreams of travel after retirement, made it very clear to major hotel brands that their market had shifted. To retain customers, they needed to include providing for pets. And so, the pet-friendly hotel was born and their numbers have not stopped growing since. Today, there are literally thousands of pet-friendly hotels in every American city making travel with pets a new phenomenon. And of course, the trend didn’t stop there. As Americans continued to add Tippy and Coco to their family trees, they also wanted to make sure that when they did have to leave their furry family behind, it was taken care of in the manner in which they so richly deserve. So came the up-spring of hotels and resorts made specifically for pets. Hotels for pets and pet resorts are popping up everywhere across the country. Which bring us to why we launched Vacation Pet Friendly. Our goal was to make traveling with pets easy by making these places, whether they be pet-friendly hotels or hotels that are pet friendly, readily accessable to travelers. We’ll we accomplished this. From Vacation Pet Friendly, you can book your pet-friendly hotel room, find a rental car company in any city, and land on the pet policy pages of airlines that travel in, to and from the U.S.
Now it’s time to have some fun! What would you, as a traveler, would like to see? We would love to hear your requests, ideas, thoughts, concerns or suggestions. We’ll consider it all; even the most out-of-the box ideas. It could be about a blog topic, service we could offer, page we could add, a way to market ourselves….anything! 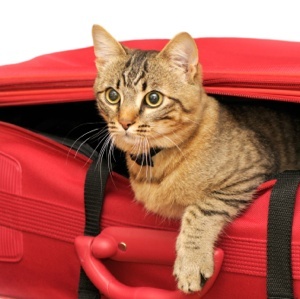 Making plans to travel with your pet should be easy and fun. That’s our goal and you can help us reach it. Please post your comments below. Share our site with friends. Use our site for your travel needs.